The following alphabetical list of ski resorts in Salzburg gives the names of pretty much all relevant towns with access to ski lifts, alongside with their altitudes, number of ski lifts and lenght of managed slopes. Note that individual ski resorts are usually grouped into skiing areas or large marketing federations ("Destinationen"). 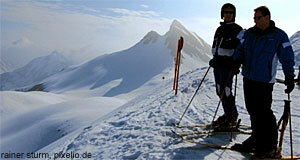 The list, however, should give you a good idea of where to look for skiing opportunities in Salzburg.